Simon Pineda the child wonder who portrayed the role of “Onyok” in the top-rating primetime show “Ang Probinsyano” is now considered as one of the most versatile and popular actor of his generation. The young actor’s inclusion in the star-studded primetime series was just an accident as revealed by Coco Martin himself. The “Cardo at Onyok” tandem is now considered as one of the reasons why the show garnered a huge following especially on social media. Cardo at Onyok features Coco Martin who portrayed the role of Cardo and Simon Pineda who portrays the role of Onyok. Simon Pineda or Onyok was first seen on national TV during a segment of It’s Showtime as a contestant of Mini-Me showcasing his skills on stage as the litter version of rock icon Bamboo. 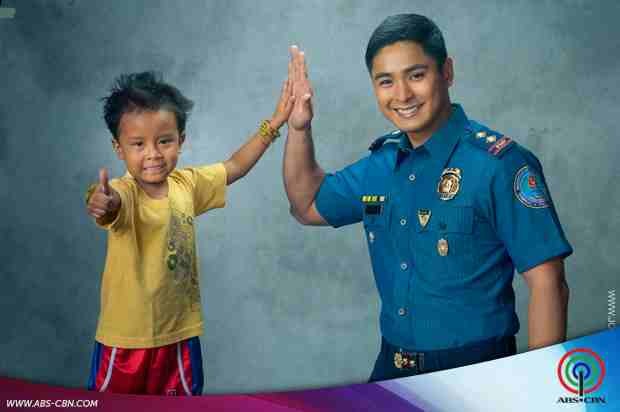 The top-rating series “Ang Probinsyano” follows the journey of twins Ador and Cardo, played by Martin, who were estranged from each other by financial reasons even as they followed the path of law enforcement. Ador was a celebrated police officer, with a loving family as his support. Cardo on the other hand, loves the solitude of the mountains as a Special Actions Forces Trooper. Aside from Coco Martin and Simon Pineda, “Ang Probinsyano” also features a powerhouse casts which are composed of Maja Salvador, Arjo Atayde, Albert Martinez, Agot Isidro, Bela Padilla, Joey Marquez, Jaime Fabregas, and Ms. Susan Roces.